Rory Waterman’s ‘Belonging and Estrangement in the Poetry of Philip Larkin, R. S. Thomas and Charles Causley’ (Ashgate/Routledge, 2014) and ‘Poets of the Second World War’ (Writers and their Work, 2016) are two of the most important books to be published about Charles’s work. However, Rory is a poet in his own right, and his debut collection, ‘Tonight the Summer’s Over’ (Carcanet, 2013) was a Poetry Book Society (PBS) recommendation and was shortlisted for the Seamus Heaney Prize. His second is forthcoming from Carcanet in the autumn. 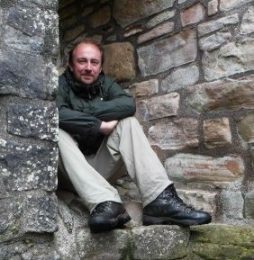 He co-edits ‘New Walk’ magazine, and is Senior Lecturer in English at Nottingham Trent University.